Fougeres is an interesting historical town and castle to the north-east of Rennes, in Brittany and close to the border with Normandy. The town falls into two distinct halves, with the Chateau de Fougeres and the Medieval Quarter being in the lower town and quite high above is the upper town which has been largely re-built following a fire in the 18th century. 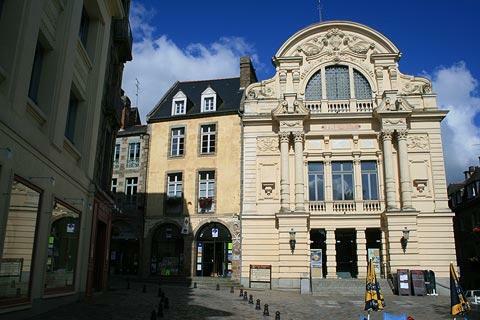 If you start your visit in the upper town head first to the Tourist Information Office on the Place du Theatre. Here you can get a leaflet with a route to make sure you see all the main sights. The Place du Theatre was formerly called the Place du Brûlis (burnt) following the fires which destroyed a lot of the upper town. This was then rebuilt in granite using the style recommended by the then architect to the king and similar to the style used in Rennes. The theatre itself has a more ornate, Italianate style and was inaugurated in 1886. 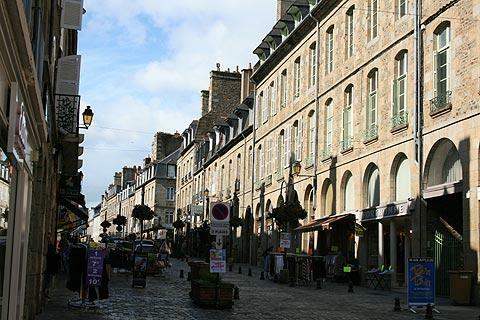 The main street in Fougeres upper town is the Rue Nationale. Its granite austerity is softened by the paved floors and wrought iron balconies. Also on the Rue Nationale you will find the Emmanuel de la Villeon Museum housed in a half-timbered building rare in the Upper Town. 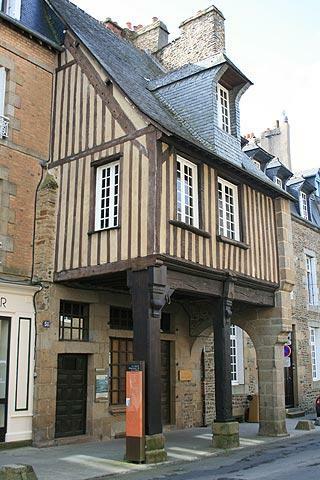 The museum contains paintings by Emmanuel de Villion, an Impressionist painter born in Fougeres. Down a side street from the Rue Nationale you can see the Belfry. 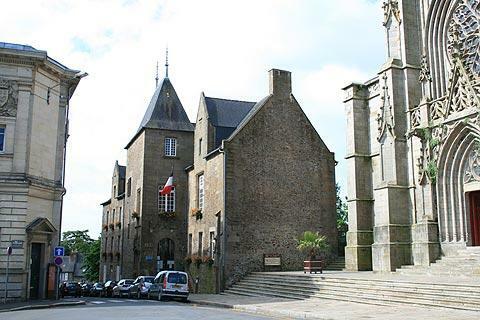 Fougeres and Dinan are the only two towns in Brittany which have a separate bell tower. 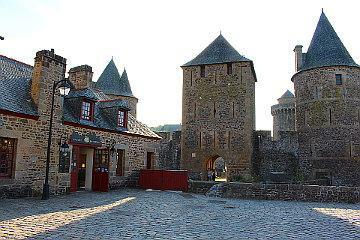 The one in Fougeres is the oldest and was built in 1397. 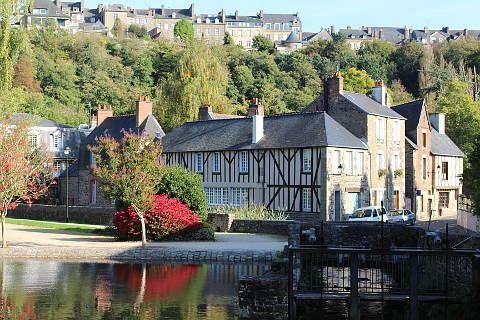 In various places in Fougeres you can also see the houses of Chateaubriand’s sisters. Chateaubriand was a common visitor to the town and is considered to be the founder of Romanticism in French literature. He was born in St Malo and grew up in Brittany. The church of St Leonard with its attractive bell-tower is at the end of the road. 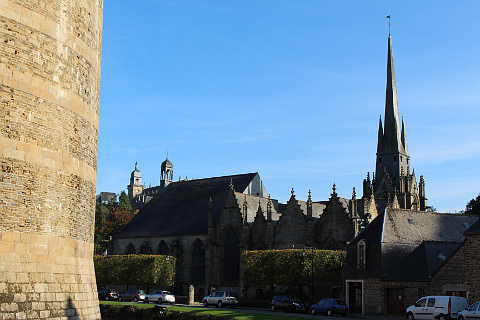 The church was started in the 12th century and later completed in an exuberant gothic style. 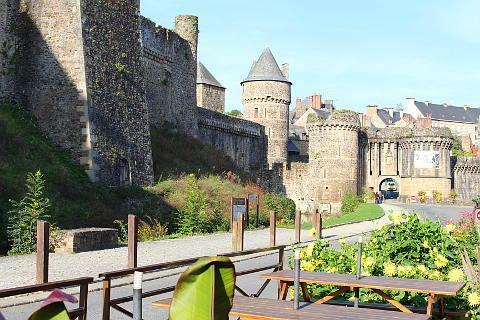 Now make your way to the Place aux Arbres which is a public garden and gives a terrific view of the castle of Fougeres and the medieval town below the gardens. There is a footpath which starts here and goes down to the medieval quarter below. 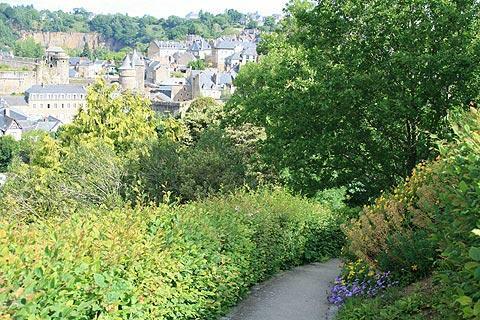 The cliff has been terraced and gardened along the way and so it is a lovely walk to do. The Chateau de Fougères dominates the medieval quarter of the town. It is an imposing medieval castle with 13 towers, built in the 12th century then reinforced in the 15th century. The castle is said to be the largest in Europe and it is certainly one of the most attractive. The ramparts of the castle were originally crossed by four gates but now only the Notre Dame gate remains, and can be seen near the castle. France This Way comment: the ramparts walk allows you to appreciate the size and layout of the castle as well as having nice views across the town and is the highlight of a visit to Fougeres castle. Around the edges of the castle there are various restaurants, large grassy areas where people sit and relax and you can even admire the large wheels of the mill. 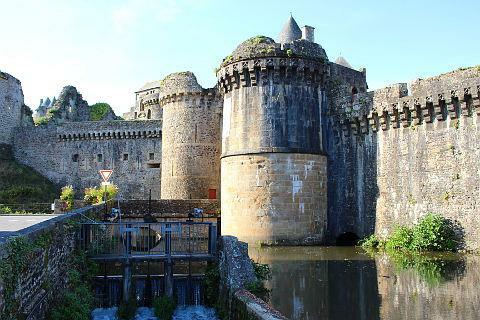 A loop of the Nançon river at the base of the castle on one side acts as a natural moat and adds to the charm. This really is a very attractive area of the town. The medieval quarter has lots of beautiful half-timbered buildings, many of them dating from the 16th and 17th century. It is here in the Place du Marchix where the cattle market used to be held in medieval times. As the name suggests, the Rue des Tanneurs was where many of the Fougeres tanners lived because they used the water of the river Nancon for their work. The church of Saint Suplice was built in Flamboyant Gothic style in the 14th and 15th centuries. Nearby is the Rue de la Pinterie with more half-timbered houses. This used to be the main street between the castle and the upper town. Make sure you admire the views of the chateau and the medieval quarter from the Jardin des Ramparts which is on this street, then take the Ruelle des Vaux on the left to see the ramparts. 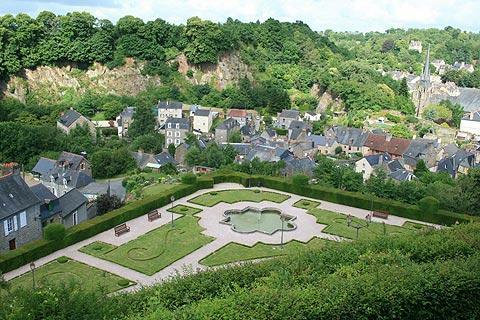 The forest on the edge of town (Forest de Fougères) is an 'ideal' woodland, with attractive pathways passing by various neolithic monuments. A lovely place for a walk and a picnic! 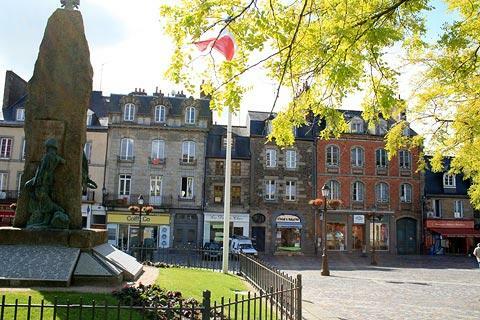 A little further from Fougeres, the historic centre of Vitré is very scenic and of course the heart of medieval Rennes is among the most impressive medieval towns in France.